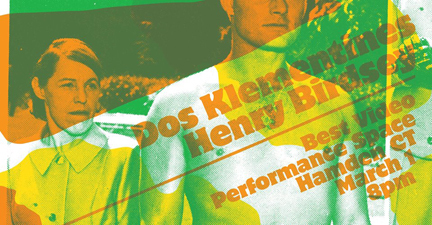 More Klementines (as a duo) and Henry Birdsey play Best Video Performance Space Friday, Mar. 1. The show starts at 8 PM and the cover is a sliding scale of $5-10 (pay what you can/want). More Klementines released their eponymous acclaimed LP in 2018, two sides—it was a vinyl album—of spontaneously improvised psychedelic folk. The full group is a trio of Michael Kiefer (drums), Jon Schlesinger (banjo, guitar) and Steubs (mandolin/guitar/electronics). For the March 1 show, the group plays as a duo of Kiefer and Schlesinger (Dos Klementines). Henry Birdsey is a multi-instrumentalist, composer, and recording engineer from Vermont, working primarily with microtonal organ, lap steel, violin, and homemade instruments. 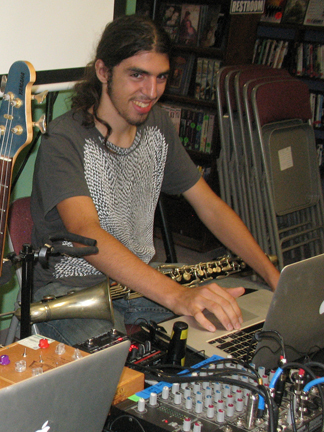 His music is often drone-based and involves microtonal tunings, the amplification of metal, and fragments of church music. The Brooklyn, NY-based duo WW (Drew Wesely, Eli Wallace) play Best Video Performance Space Wednesday, Feb. 27. The trio of Cretella/Matlock/Paolucci (moonlighting members of Dr. Caterwaul’s Cadre of Clairvoyant Claptraps) opens. The show starts at 8 PM and the cover is a sliding scale of $5-10 (pay what you can in that range). WW play free improvised music. Wesely plays guitar and Eli Wallace plays piano. Having performed together for years in New Haven’s band about town, Dr. Caterwaul’s Cadre of Clairvoyant Claptraps, Adam Matlock, Chris Cretella, and Mike Paolucci have developed a damn-near telepathic means of playing together. Being that they are all heavily involved with the local improvised music community they realized in late 2017 that they have not really done that much improvising outside of Caterwaul’s Cadre. So…they decided to let it rip and do some improvising as a trio, taking all they know and love from their experience in Dr. Caterwauls and applying it, as well as the stuff that doesn’t make itself as obviously known in Caterwaul’s and putting it forth for you the listener. Experimental artists Petra (Providence, RI), Red Rainbow, and Underwear play Best Video Performance Space on Thursday, Jan. 10. 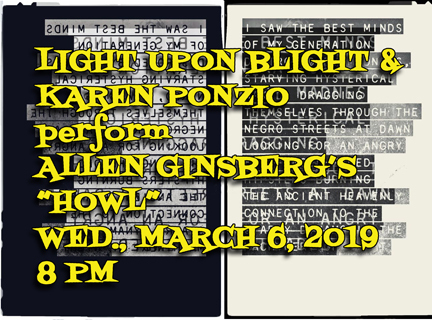 The show starts at 7:30 PM and the cover is a sliding scale of $5-10 (pay what you can in that range). Petra improvises noisily with homemade and off-the-shelf electronics and voice. 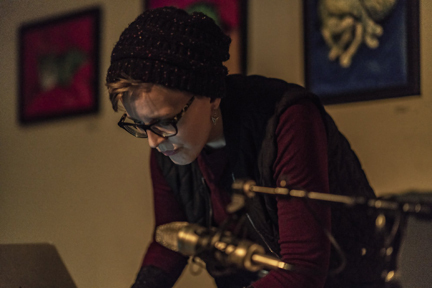 Her searching, unexpected multimedia work “drives malfunctioning machinery in chaotic directions” (Bristol 24/7) and shows that “even mundane sounds… can be beautiful” (Cville Weekly) through resonances of instrumentality and access. Petra is based in Providence, Rhode Island. Anne Rhodes. Gerry Szymanski photo. 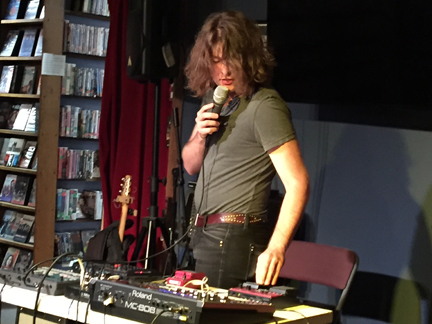 Top: West Street Trio at Best Video Performance Space in August, 2018. 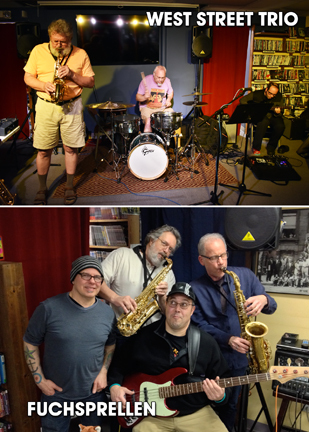 Bottom, a slightly different Fuchsprellen lineup (from April, 2015) with saxophonist John Venter (back row, left). In Venter’s stead, guitarist Martin Earley will play with Fuchsprellen On Nov. 7. 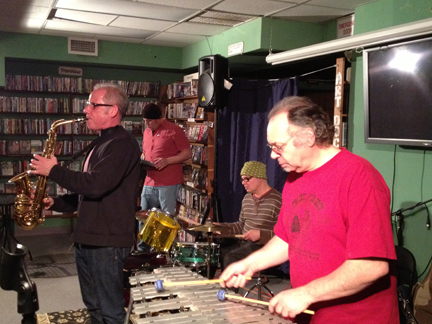 The free improvisation groups West Street Trio and Fuchsprellen play Best Video Performance Space on Wednesday, Nov. 7. The show starts at 8 PM and the cover is $5. West Street Trio play what they call “experimental jazz” or “avant-garde music.” The group is Federico Balducci (guitar), John D. Venter (horns) and Stephen Chillemi (drums). Fuchsprellen—the name comes from “fox tossing,” a popular blood sport of the 17th and 18th centuries—play free-form, improvised music. 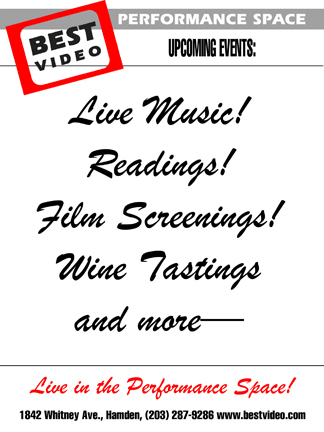 The group this evening will be comprised of Peter Riccio (guitarist and singer of The Sawtelles) on drums, Pete Brunelli on electronics and bass, Best Video executive director Richard Brown on alto saxophone and Martin Earley on guitar. No foxes will be harmed in the making of this music. This is music composed in real time with the various players listening to and responding to the sounds created by their compatriots. Anything can happen and it often does. This music evokes the free jazz of the 1960’s and 1970’s—although it isn’t really “jazz,” per se—and the New York City loft scene of the 1980’s. 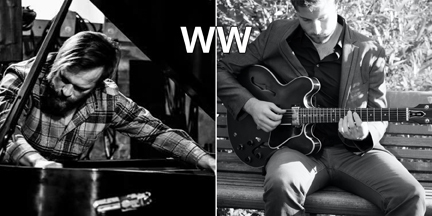 Improvisation performers Tom Blancarte, Zach Rowden and Chris Cretella play Best Video Performance Space on Wednesday, Nov. 16. The show starts early—7 PM—and the cover is $10. For over a decade, Texan bassist Tom Blancarte has been contributing a vivid pallet of dark frequencies to New York’s creative music scene, both as a freelance performer as well as a member of bands such as the electro-acoustic jazz ensemble the Peter Evans Quintet, the banjo-shred power trio Seabrook Power Plant, New Timbralist free jazz noise trio Totem, the duo Sparks with trumpet phenom Peter Evans, an eerie post-apocalyptic duo with wife Louise Dam Eckardt Jensen (The Home of Easy Credit), improv doom tuba trio The Gate and new Danish post-punk improv quartet Sweet Banditry. 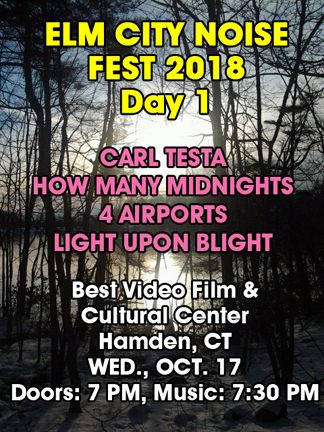 Chris Cretella is a guitarist, composer and improvisor working out of New Haven, CT (well…actually Meriden…but that’s close enough to New Haven…right?). 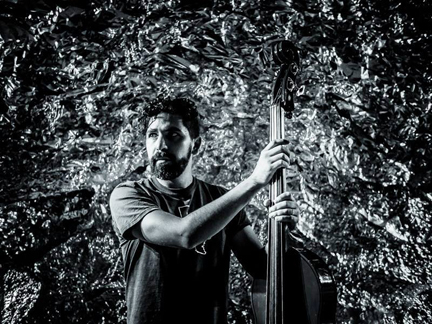 He holds a BA in music from Southern Connecticut State University and an MM in Contemporary Improvisation from The New England Conservatory of Music where he studied with Joe Morris and Anthony Coleman. 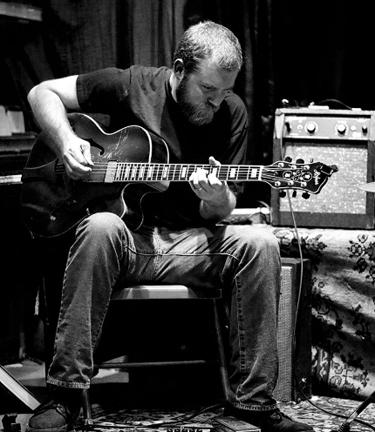 Since leaving NEC Chris has been working on developing a system of playing on the guitar through regular small group improvisation with frequent collaborators such as Joe Morris, Nigel Taylor, and Zach Rowden. This work on the guitar is often spit back out somewhere down the line as compositions. Very much an improvisor at heart, Chris’ written music often deals with some sort of open parameters. 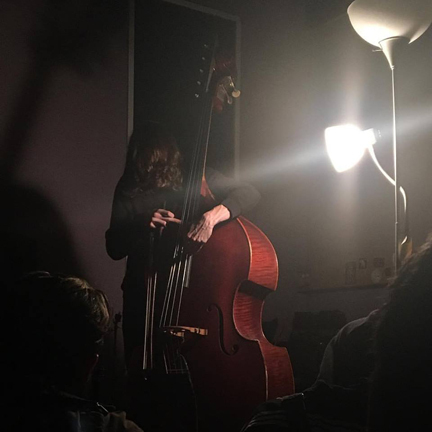 Zach Rowden deals with the acoustic and performative possibilities/issues of the upright and electric basses. Currently based in New Haven, Connecticut, and from Richmond, Virginia. Collaborators and associations include Iancu Dumitrescu, Ana-Maria Avram, Robert Black, Lindsey Vickery, Matt Sargent, Leila Bordreuil, Sean Ali, Chris Cretella, and Michael Foster. He has performed at venues such as Harpa (Reykjavik), Issue Project Room, Fridman Gallery, Firehouse 12, Cafe Oto, Real Art Ways, and living rooms or basements found throughout the United States. DIN//VOID aka David Elkin-Ginnetti and Derek Piotr perform at Best Video Performance Space on Wednesday, Aug. 12. The show starts at 8 PM and there is a $5 cover. DIN//VOID is improviser, sound artist and lifelong New Havener David Elkin-Ginnetti. DIN//VOID offers up electronics and sometimes saxophone, club deconstructionism, deterritorialized acoustics and audio as accelerated process(ion). Derek Piotr is a Poland-born producer and composer based in New England, whose work focuses primarily on the voice. 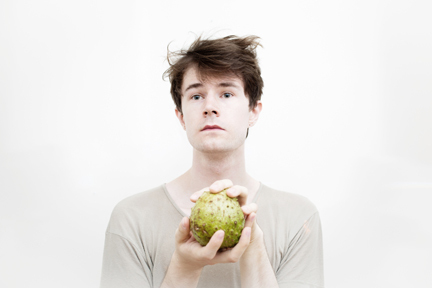 He has been intern to Meredith Monk, had his work nominated by the jury for Prix Ars Electronica (2012), and featured on Resonance FM and BBC. Super Trance will play the Best Video Performance Space on Thursday, Aug. 1. The cover is $5 and the music starts at 8 PM. Super Trance, The Ultimate Jam Band weaving aspects of rock, jazz, funk, rap, electronic and world music to create a super-licious soundscape to groove to! Made up of a core rhythm section of Didge (Pete Onofrio), Guitar (Brian), Congos (Jay), Bass (Jim), and Percussion (John Boiano). The band frequently is joined by guests on guitar, vocals, saxophone, keyboards and strings. Thursday the band will be joined by violist Colin Benn. Other videos are accessible through the group’s Facebook page. 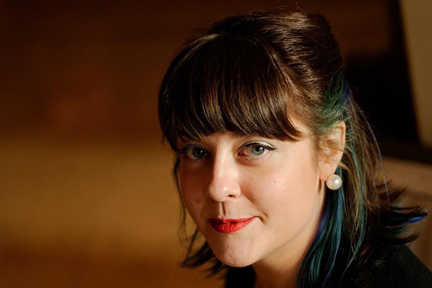 The free improvising group Fuchsprellen and ambient/noise musician Kryssi Battalene aka Colorguard will perform in the Best Video Performance Space on Thursday, July 25. The cover is $5 and the music starts at 8 PM. Fuchsprellen—the name comes from “fox tossing,” a popular blood sport of the 17th and 18th centuries—play free-form, improvised music. The trio is comprised of Steve Chillemi (who plays drums in Captain Beefheart cover band Doctor Dark) on bass clarinet and soprano saxophone, Peter Riccio (guitarist and singer of The Sawtelles) on drums and Pete Brunelli on bass. No foxes will be harmed in the making of this music.